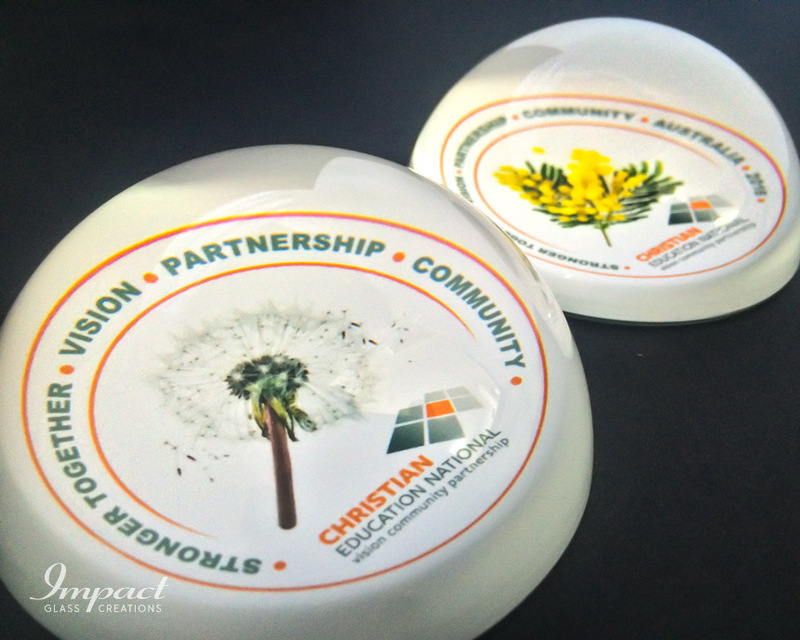 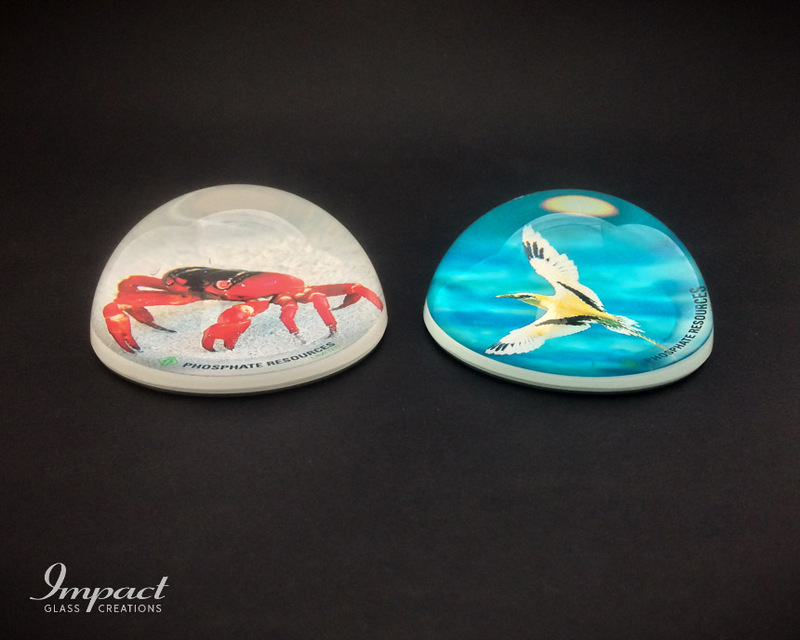 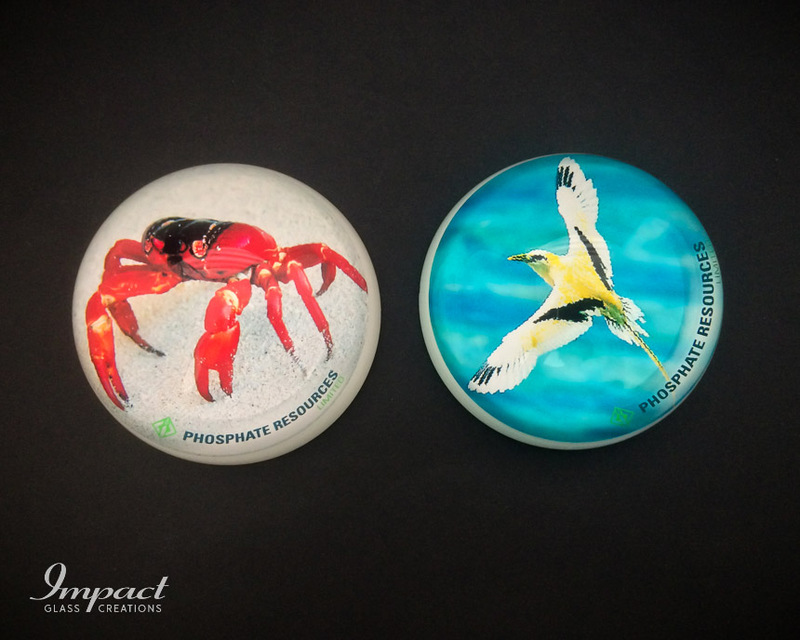 A great photograph of the famous Christmas Island Red Crab and Golden Bonsun Bird encapsulated on the back of dome paperweights with the customer’s logo curved and appropriately positioned within the shape. 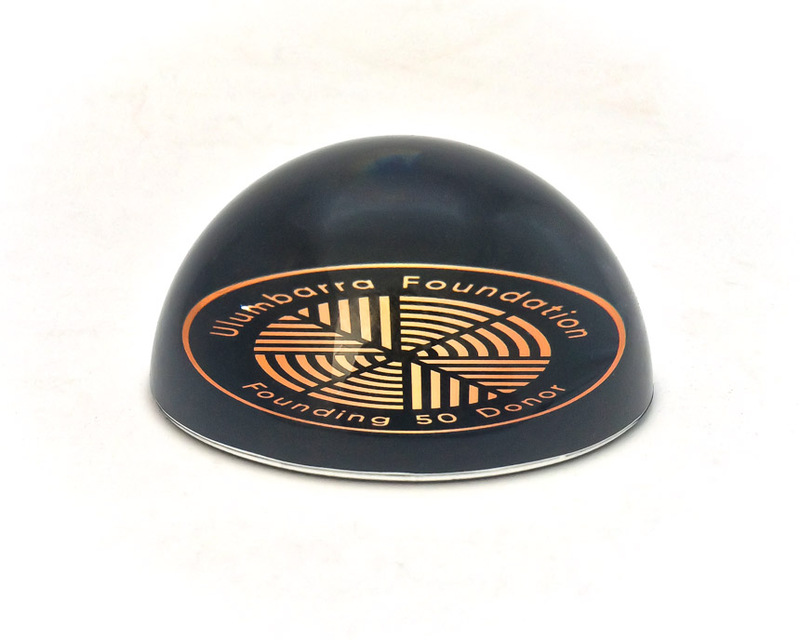 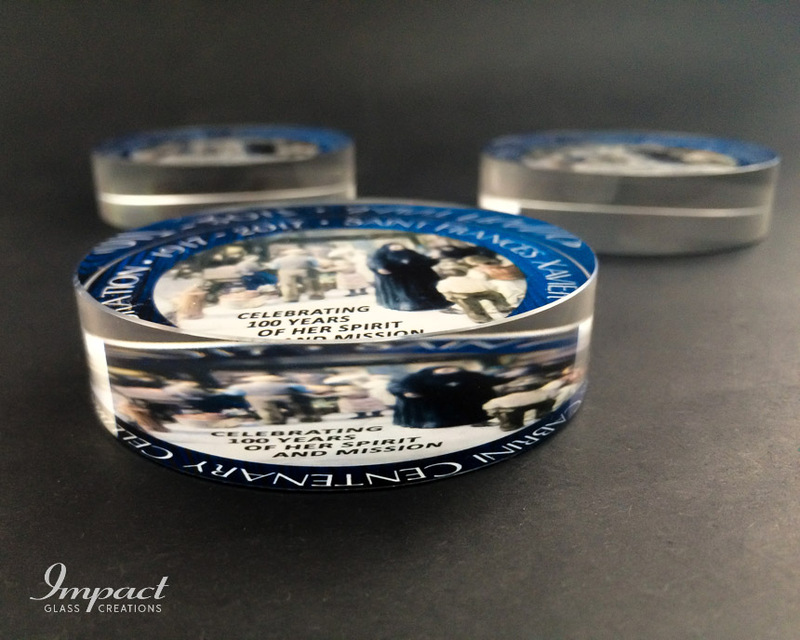 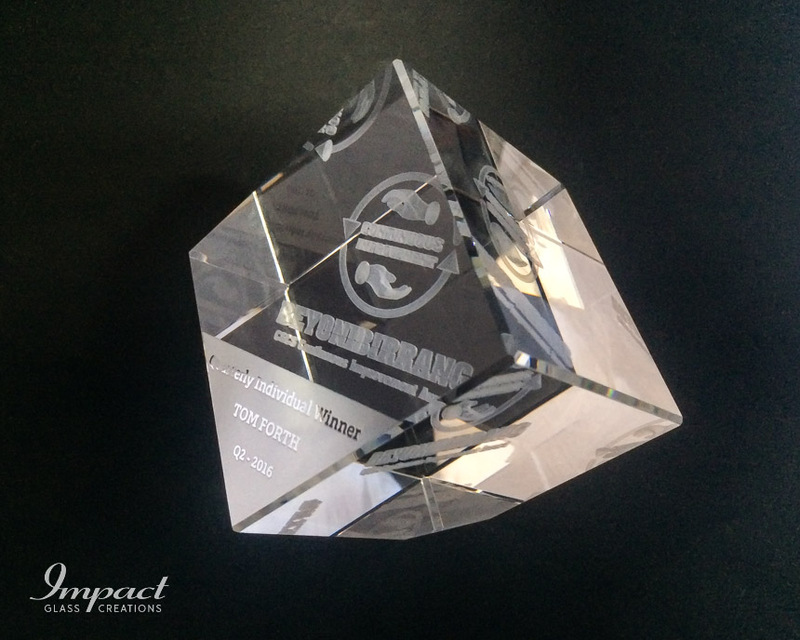 The image has lifetime protection through the use of a felt of cover glass on the back of the crystal paperweight. 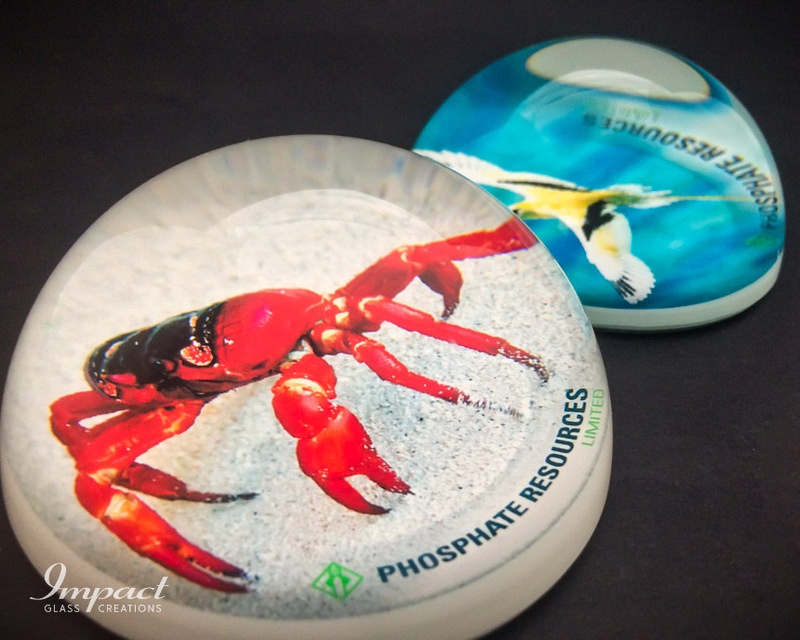 The magnification effect of the dome really accentuates the image and makes it pop!